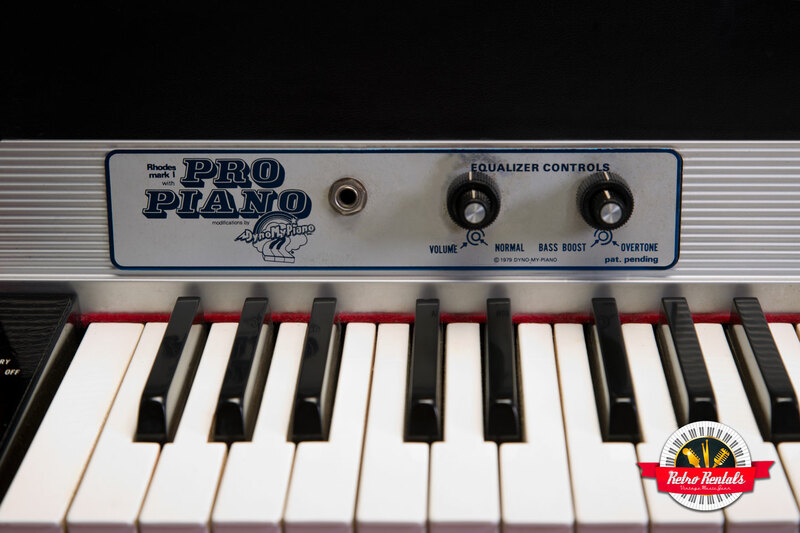 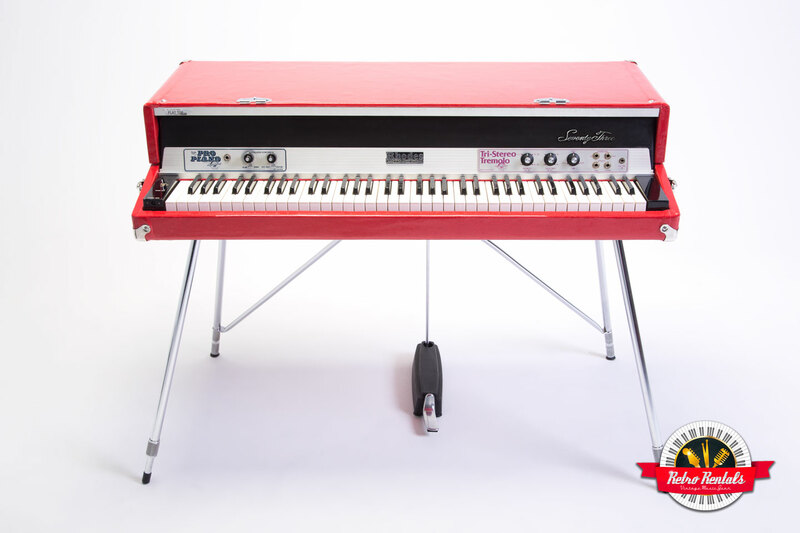 The Dyno-My-Piano Rhodes became popular for the sound of their brighter preamps that offered versatile filtering and EQ, as well as mechanical improvements to a Rhodes piano. 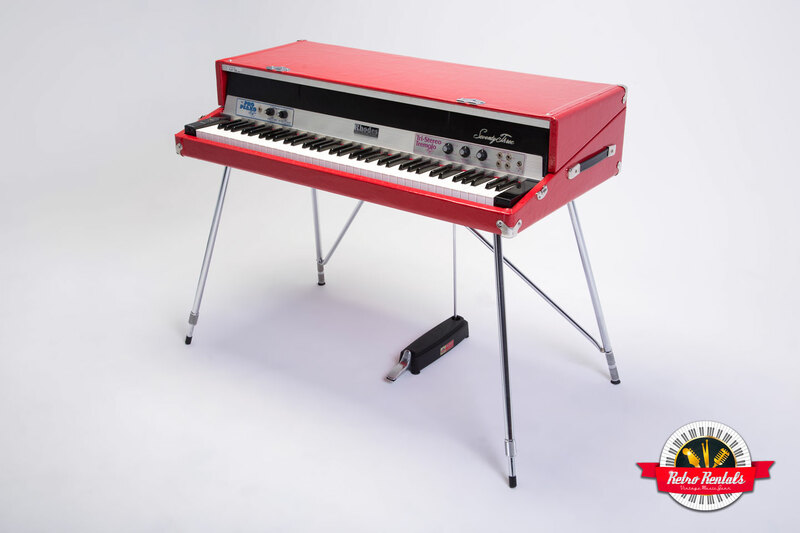 This model features the Tri-Stereo Tremolo unit, which allows great flexibility in the “vibrato” feature of a suitcase Rhodes. 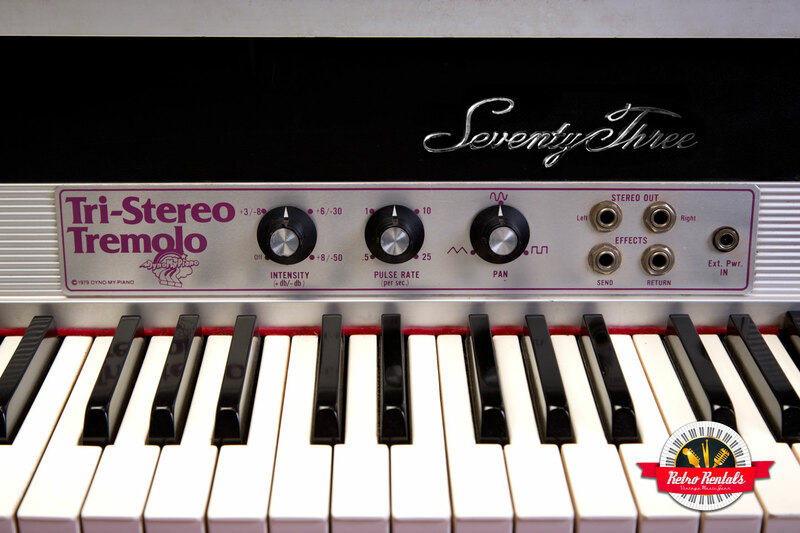 Players can select speed and intensity, and also the type of left-to-right panning – from smooth triangle wave to rigid square wave. 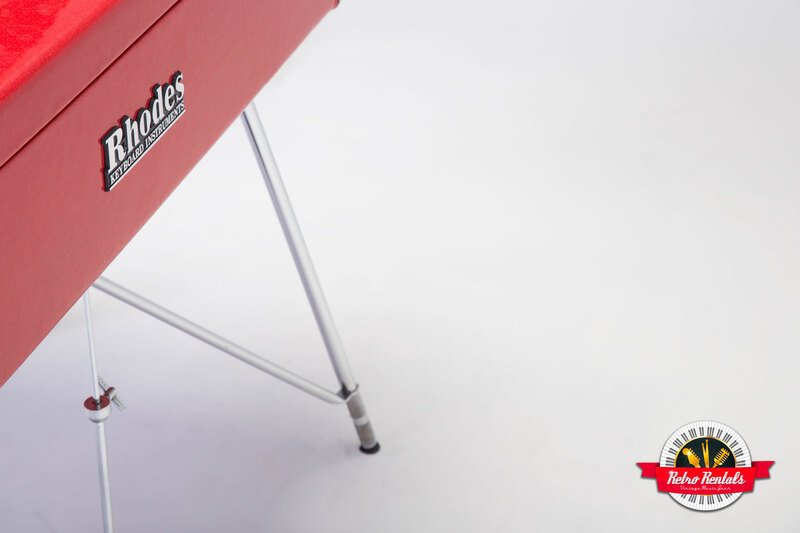 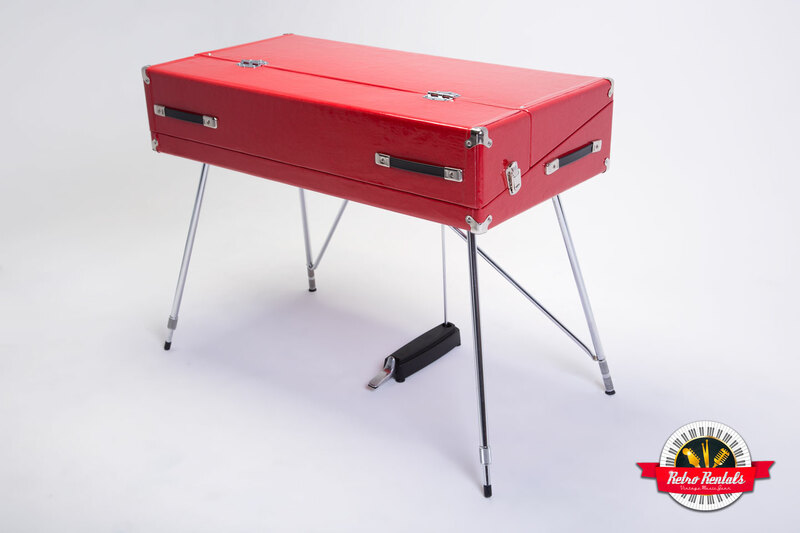 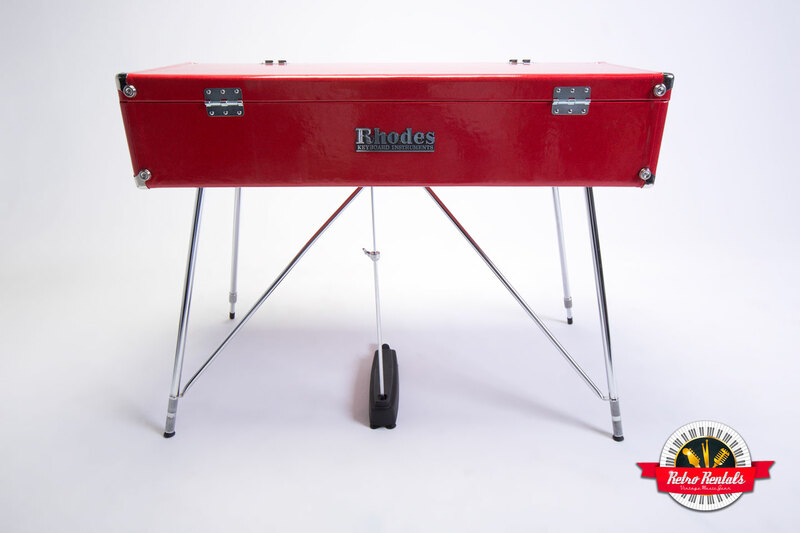 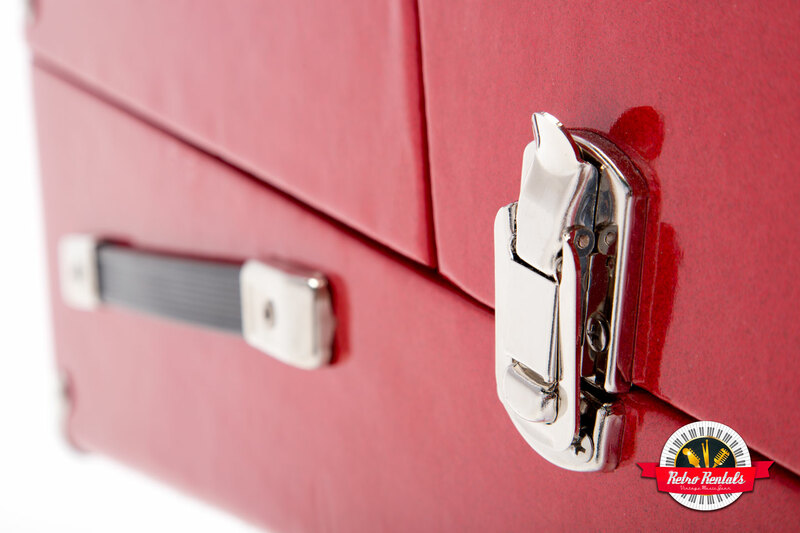 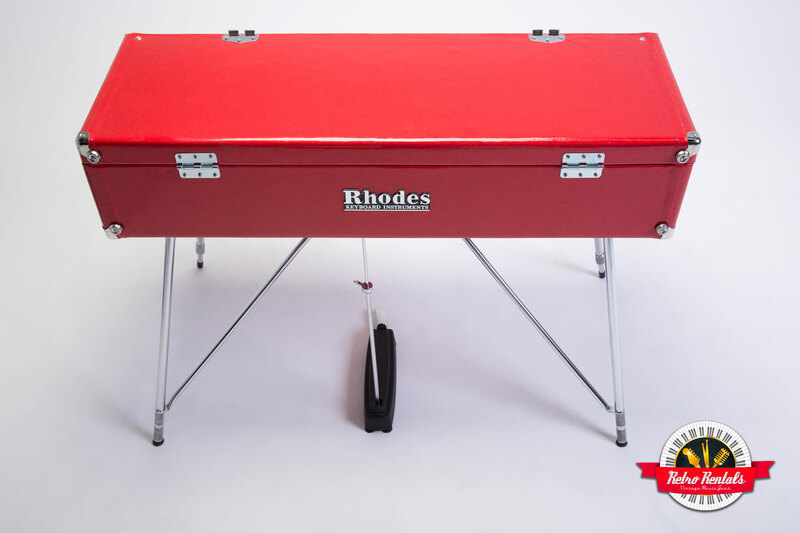 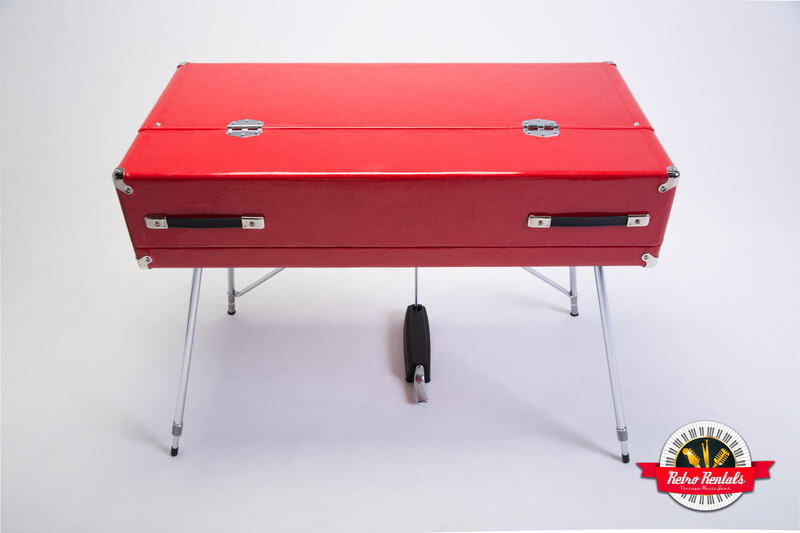 It offers all the electronics benefits of a Rhodes suitcase piano within the portability of a stage model. 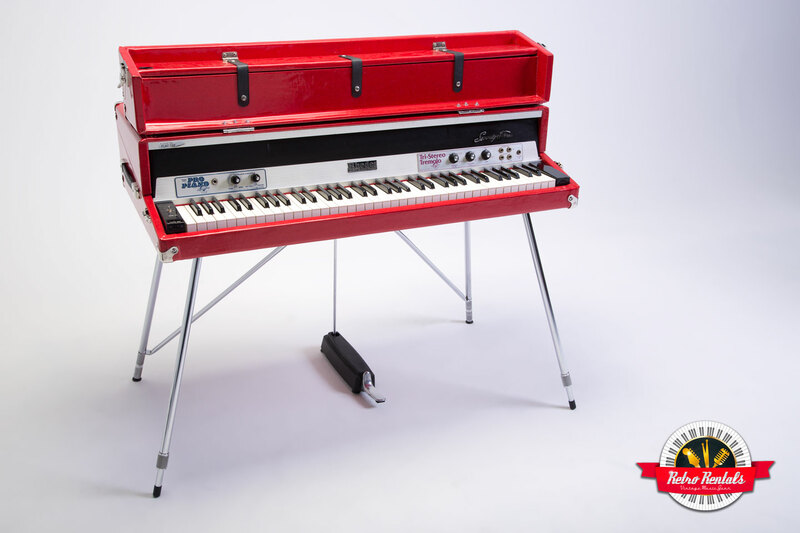 This Dyno has been completely restored with red sparkle tolex and is a show stopper on stage!